Quebec native Pierre Dorion has been leading a successful painting career in Canada and abroad for almost twenty years. The Musée d’art contemporain de Montréal’s showcase is Dorion’s second exhibition in Montreal; he was previously featured at La Musée des beaux arts in 2010. MACM has chosen to hang Dorion’s paintings chronologically which allows visitors to follow the evolution of Dorion’s work. The popular belief about abstract contemporary painters is that they might not master classical figuration painting techniques very well. This doesn’t apply to Dorion; his strategy towards abstraction partly uses the principles of figuration itself. Dorion’s signature style is photo-realist painting with a constant hesitation between figuration and abstraction. It has been reported that he uses the photographs he takes during his morning walks around town to inspire his paintings. It is obvious that Dorion has been leaning towards abstraction since his debut and the exhibition conveys this evolution well. 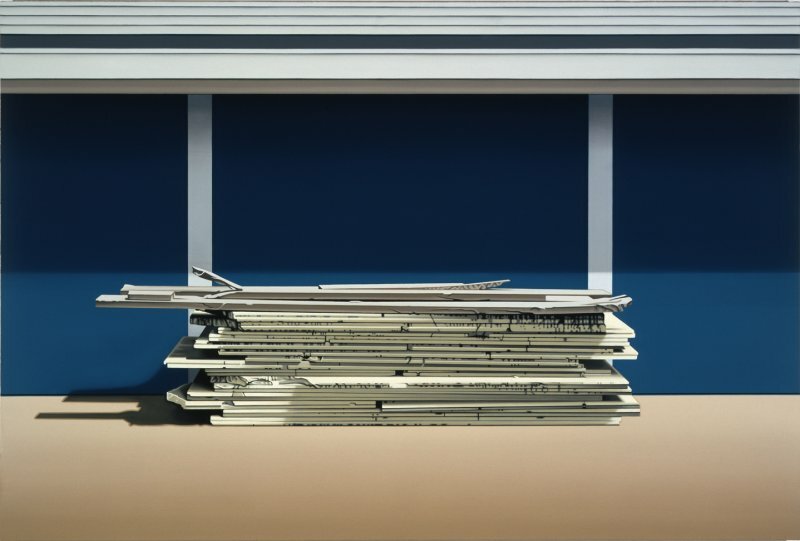 The total absence of living representation in his paintings is all the more striking as the scenes Dorion depicts are cold, minimalist, architectural environments: rooms, corridors, walls, windows and doors that get less comprehensible to the eye as the visitor moves forward in the exhibition. Dorion also includes specific composition angles, depth of field and blurry details in his pieces, just as a camera’s focus would do. 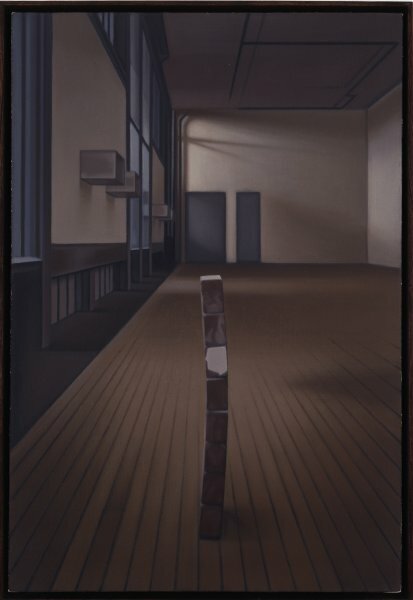 The photographic illusionism works rather well in Dorion’s paintings, but some details that would normally be found in a photograph have voluntarily been omitted by the painter from time to time, such as shadows. Also, the classical linear perspective of painting has been intentionally dismissed by Dorion. The paradox with Dorion is that although his love for painting is evident, he continually questions its legitimacy as a medium for visual perception. Some will find the surgical precision and cold shades of his deserted canvases anxious, but the uncanny halo that emanates will certainly be attractive to the alert eye.